An Army major built Fort Lauderdale, but in its heart and its history, it’s a Navy town. Especially during the first week of May. Naval crews camped along the New River before Major William Lauderdale arrived in 1838. They returned in force during World War II, patrolling waters and training torpedo bomber pilots. And they were frequent visitors over the ensuing years as Fort Lauderdale became a popular port of call, welcoming shipload after shipload of good-time-seeking sailors. Federal budget cuts and a smaller fleet have dramatically scaled back those visits, but haven’t broken the bond. And one event more than any other keeps South Florida’s naval tradition alive: Fleet Week Port Everglades. 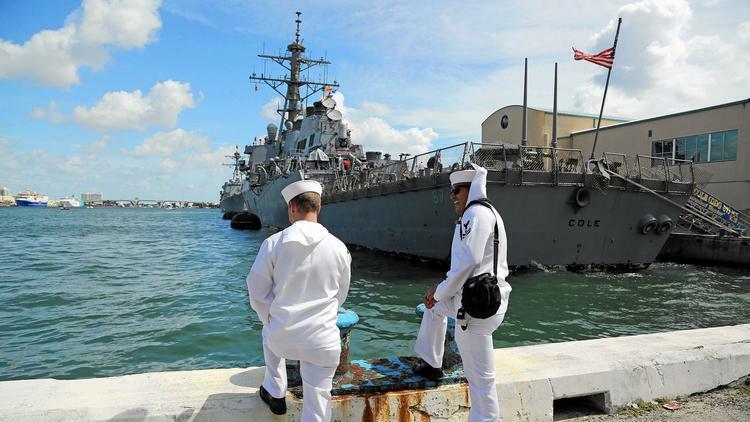 Starting Monday, a flotilla of Navy and Coast Guard vessels will sail into Port Everglades for a week of ship tours, galley wars, military band concerts, crew receptions and community outreach projects. On the Eastern Seaboard, the annual event is second only to New York City’s, held at the end of May. “Nothing swells your pride like watching these ships come in,” said Nicki Grossman, Broward’s tourism director.